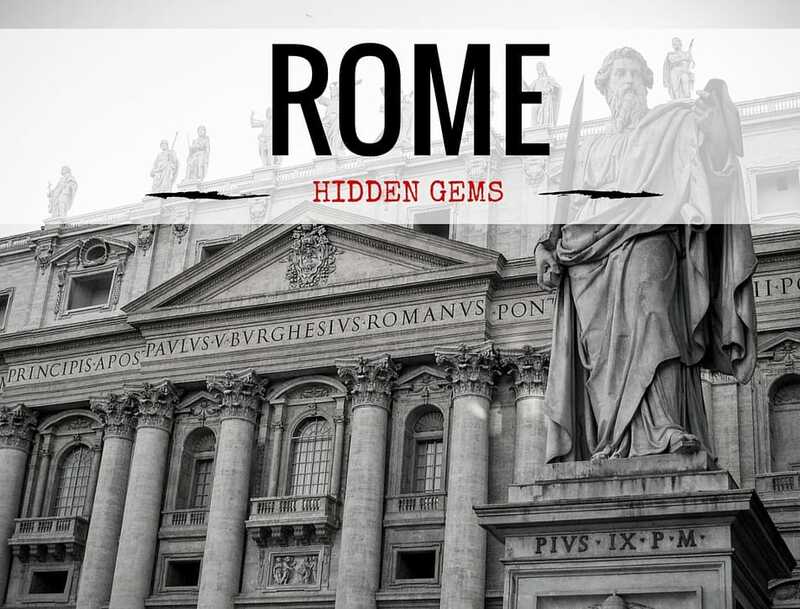 There are many ways to explore Rome but a walking tour is highly recommended if you want to enjoy the top sights and discover the hidden gems when you visit the historic center (also my favorite city in the world!). I’ve lived in Rome for more than 3 years and saying that I love it is an understatement! I had the possibility to discover a lot about this marvelous city and every time I come back to Italy I usually stop in Rome for one day to visit friends or just stroll around! 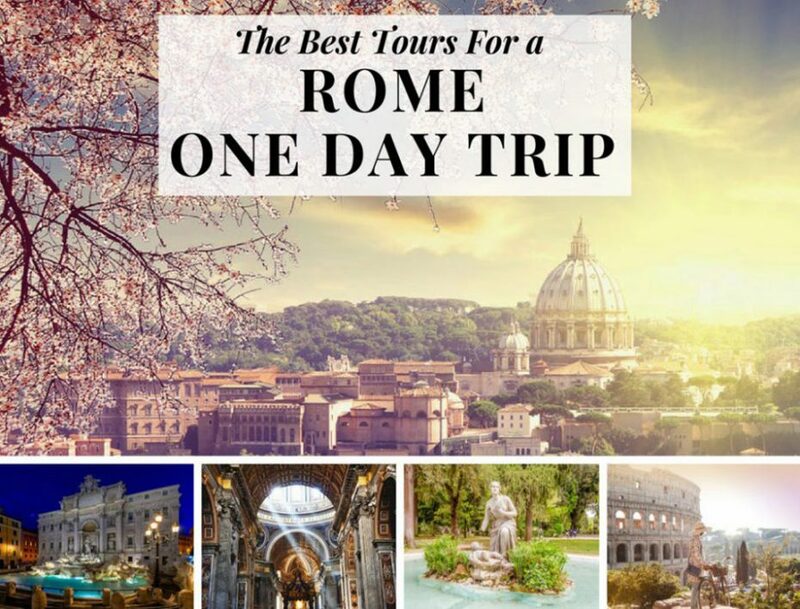 So what if you only have 1 day to visit Rome? What can’t you absolutely miss? In this case, I highly recommend you to choose a good tour experience in the Eternal City. I actually tried a few ones when I had friends visiting and I couldn’t bother to find a parking spot in the center (go there by car and you’ll know what I mean!!). 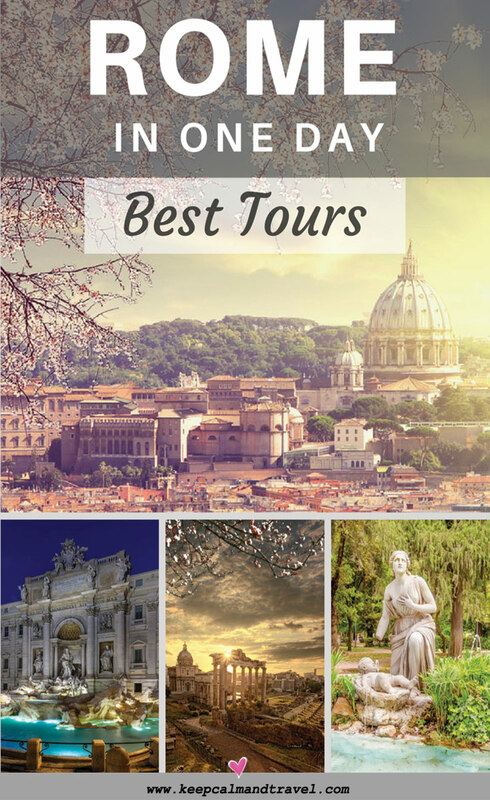 WHICH ARE THE BEST ROME TOURS? One of my favorite spots to walk in Rome! Touristy? Hell yes! 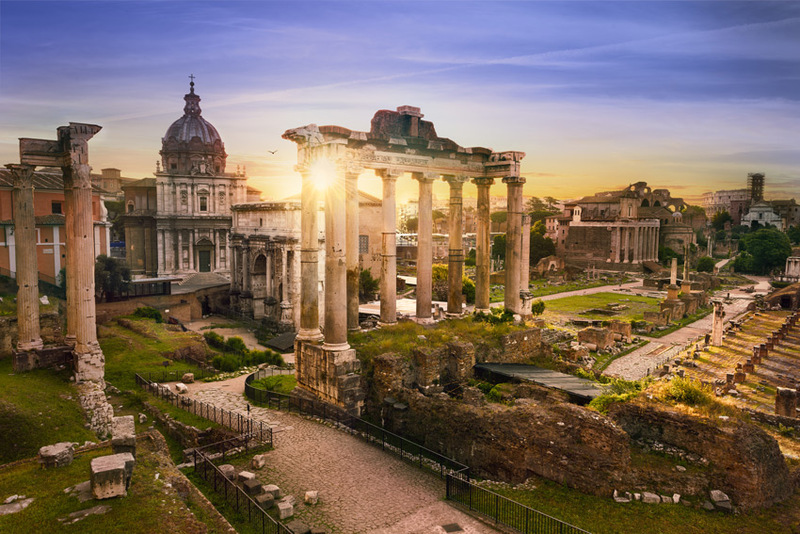 But try visiting the “Via Dei Fori Imperiali” from Piazza Venezia Towards the Colosseo at sunset, and you will totally forget the people around you, I promise! Usually, when I don’t have much time in a city I usually prefer tours compared to trying to rush everywhere, trying to figure out how to get from one place to the other by public transport (good luck with that in Rome if you chose buses!). 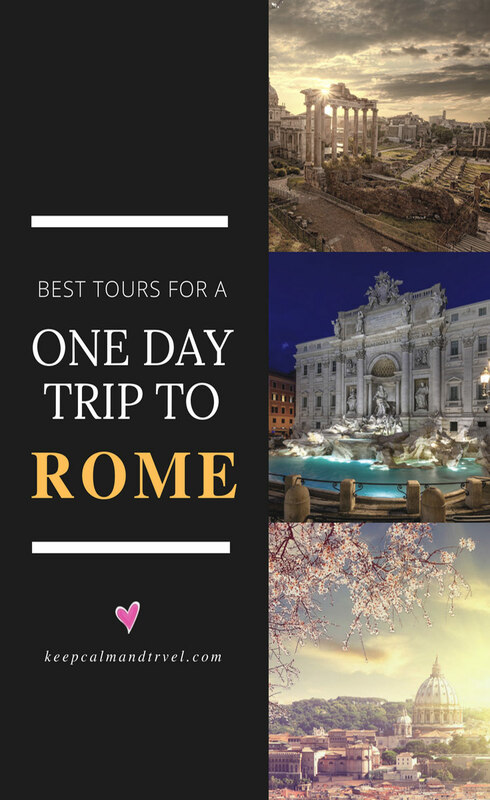 In my 6 years of experience traveling around the world, I know that If I don’t know the city I will likely miss some amazing spots (100% guaranteed in Rome) hence I book a tour online before my arrival, also because I like to talk to the locals (usually the guides are locals), and I highly recommend you try it too. With one warning: I’m Italian so I’m used to my people but Romans are…how can I put I, very colorful and expressive and loud! But, trust me on that, once you overcome the initial “shock” they will be the best part of your experience! DISCOVER EVEN MORE ABOUT MY BEAUTIFUL ITALY. CHECK OUT MY IN DEPTH ARTICLE ABOUT THE BEST ITALY ROAD TRIP A MARVELOUS ITINERARY STARTING IN ROME AND ENDING IN LAKE COMO! 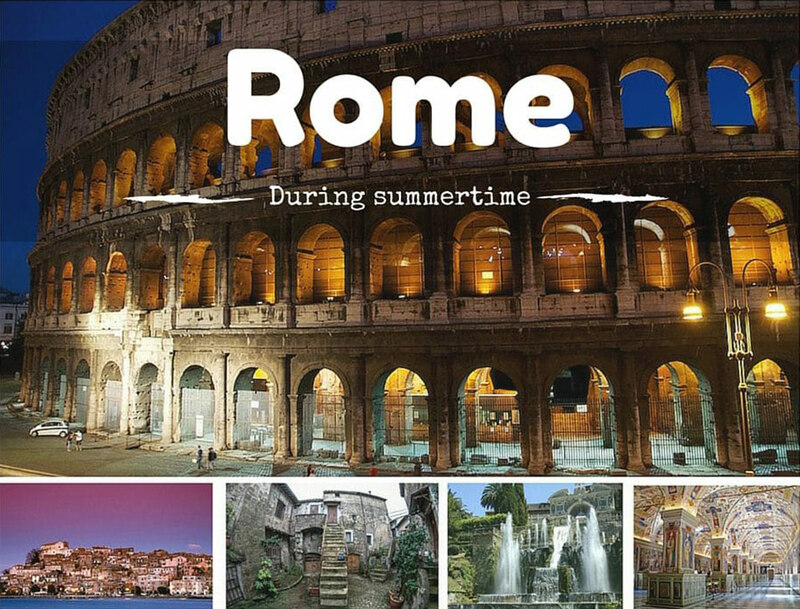 CHECK OUT THESE TOURS OF ROME! If you click on one, you will be also able to browse and see all the ones available! 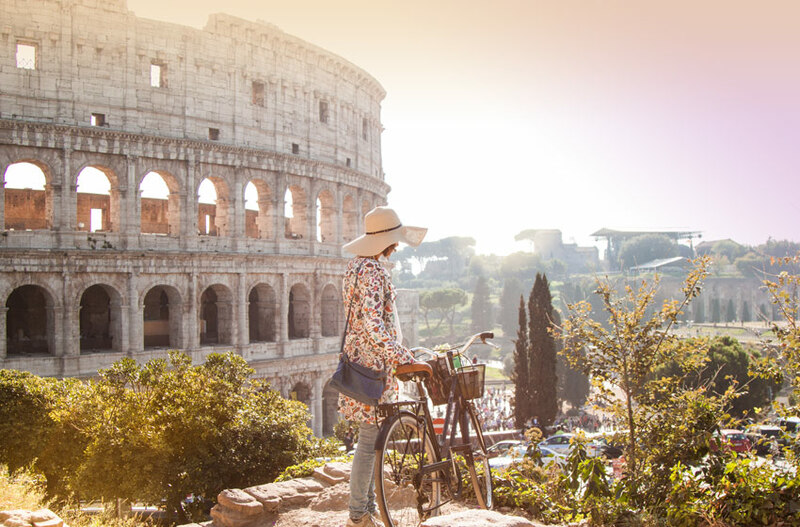 The one I liked the most was Segway Rome Tours, a team of local experts that organize different itineraries on segway including the most popular spots and the unsung treasures. I mean, how cool is that? Super fun! According to the writer Anatole Broyard, “Rome was a poem pressed into service as a city”, so I planned a route devoted to the most evocative places easily reachable on foot and that will more likely be covered by most of the tours. The iconic Trevi Fountain was restored in 2015 and is a bright jewel that attracts millions of people every year. Do you know that here rises Palazzo Poli, a seat of National Chalcography Institute for Graphics? You will learn a lot of history and also curious facts during your tour! Here you can see temporary exhibitions and admire the collection of prints, engraving tools, machinery and ancient presses. A few people know Palazzo Poli, the backdrop to the Trevi Fountain: this palace was designed by Luigi Vanvitelli, the most prominent architect of XVIII century in Italy. 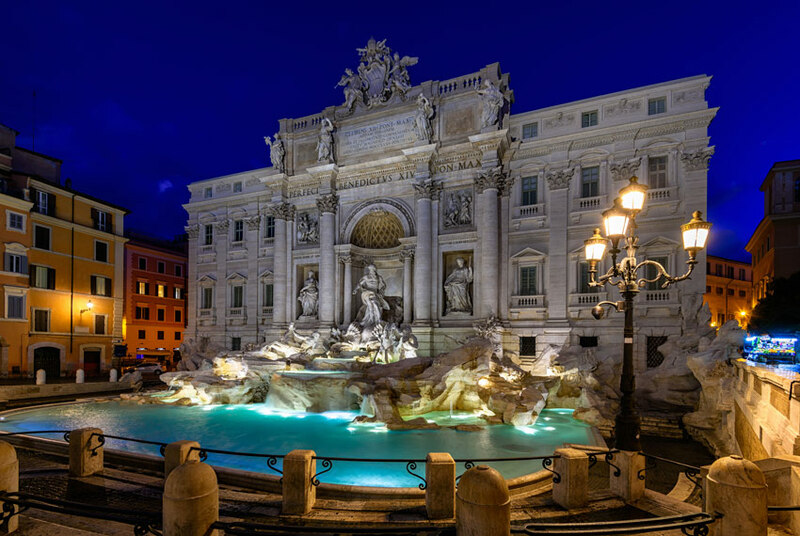 During the tour, as I said, you can discover many interesting facts: Did you know that visitors to Rome throw approximately 2,300 Euro worth of coins into the Trevi Fountain every day!? 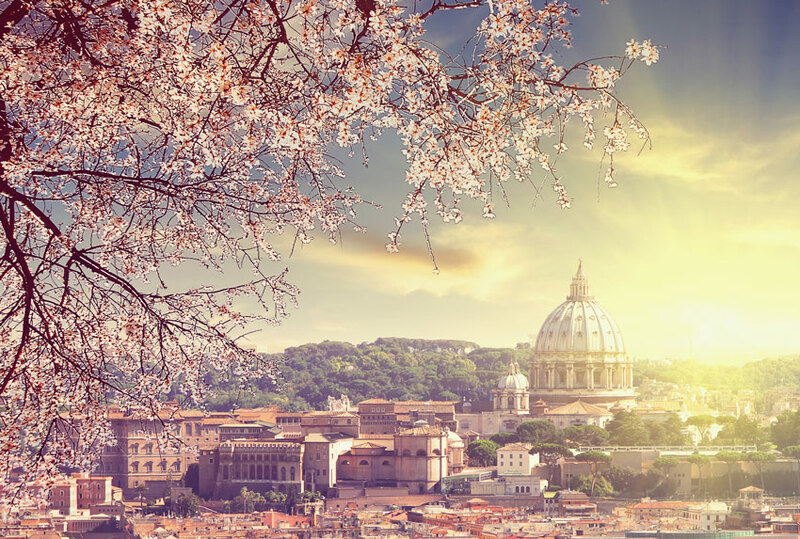 ST PETER’S DOME: THE HIGHEST SPOT IN ROME! The top of St. Peter’s Basilica is the highest point in Rome and no building can be higher than it. Despite that, there is an exception: Villa Medici, built at the half of XVI century on Pincio hill, has the same height of St. Peter’s Basilica. Climbing up the Dome in Rome is one of the things I think should be mandatory! 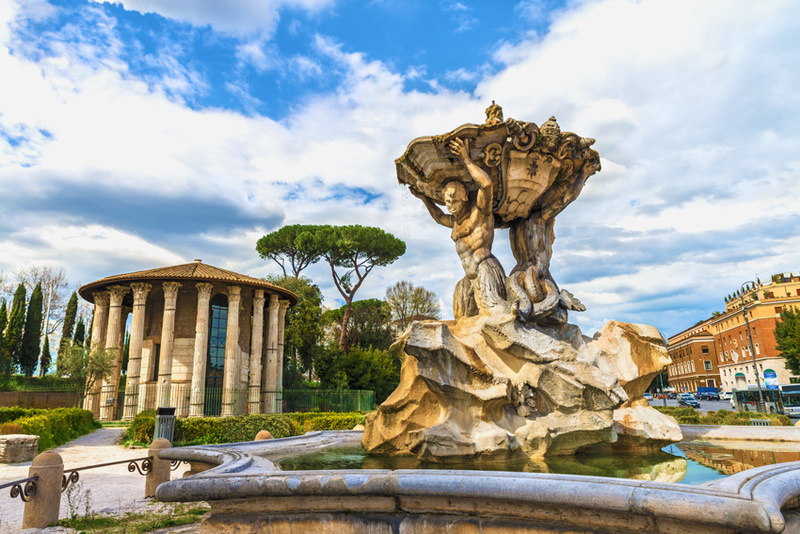 The views are spectacular and you will also have a sneak peak of the astonishing gardens of Vatican City! If you want to also visit Villa Medici, you can buy a ticket that includes a guided tour of its enchanting gardens and its elegant rooms. 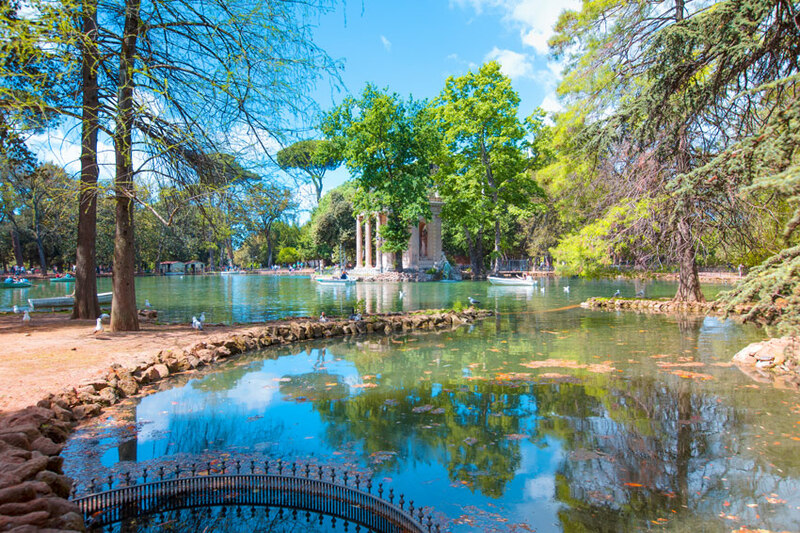 Recently its public gardens were elected the most beautiful in Italy, according to the contest “Il Parco Più Bello d’Italia”. From the top of Villa Medici, on the Pincio terrace, you can enjoy the panoramic view over the entire city, a skyline that will leave a lasting impression on your heart. 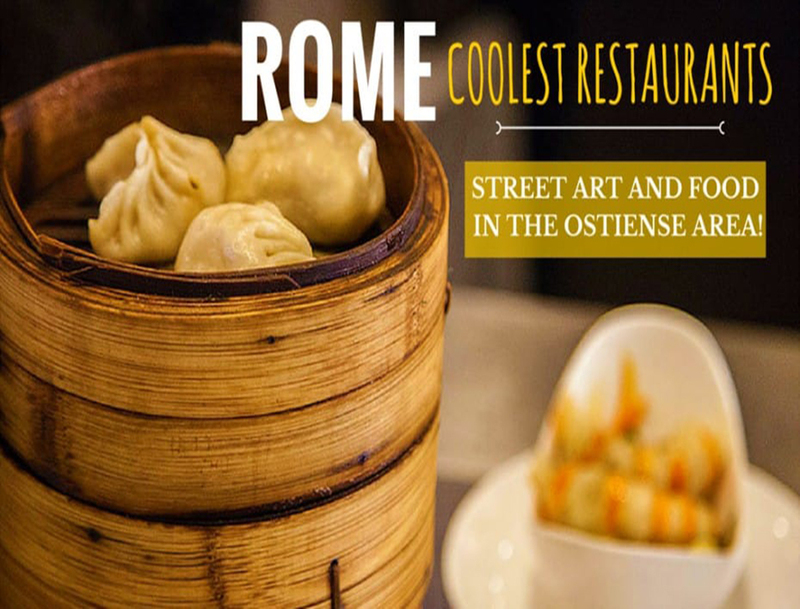 When I’m on holiday I like to taste new dishes and sip nice drinks… well I bet that being in Rome, you would also be dying for a nice Italian lunch! Villa Medici has just opened the Colbert bistro, which offers breakfast and lunch from 10:00 am to 7:00 pm. Perfect setting and delicious food await! This bistro owes its name to Jean-Baptiste Colbert, Minister under the rule of King Louis XIV in the XVII century. The Forum Boarium was the cattle “forum venalium” of Ancient Rome and was the site of the original docks of the city. I suggest seeing the Temple of Portunus to all those want to discover one of the best-preserved temples of the Roman age. Located at Piazza Della Bocca Della Verità, once the seat of Forum Boarium, this temple is an unsung gem, was built between 120 and 80 B.C. then converted into a church in 872. In 1916, 100 years ago, the temple was restored but, at the moment, is close to the public. For more info about archaeological sites in Rome, I suggest checking this website. If you are in this area on Saturday or Sunday, don’t forget to shop at the Campagna Amica market on Via di San Teodoro, when you can meet local producers and buy the best food delicacies in Rome. Probably you already know Navona square (Piazza Navona): within walking distance of this big square, there is a small church, the Basilica of Sant’Agostino, situated in the piazza of the same name. This church was built during the Renaissance and hosts two masterpieces: the fresco of the Prophet Isaiah by Raphael and the Madonna di Loreto by Caravaggio. This is a precious Baroque painting and I think it’s very amazing to find works of art hidden in the heart of the historic center. 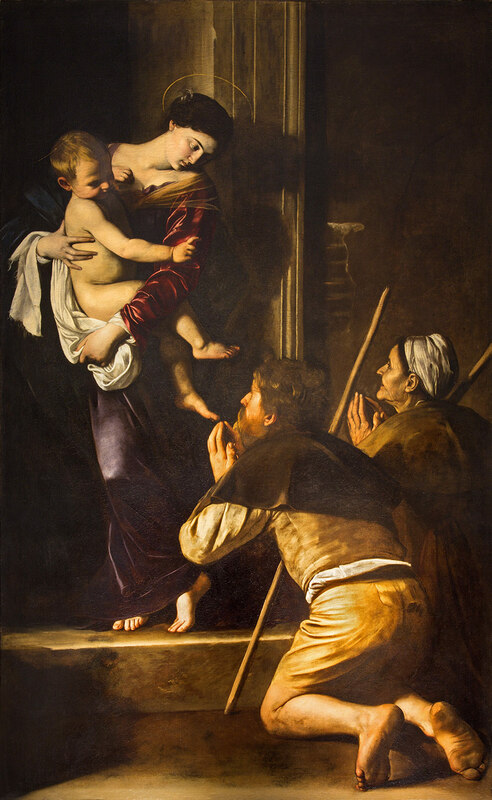 The Caravaggio’s painting depicts a moment where everyday common man encounters the divine, just as the miracle of beauty that appears in Rome streets! INTERESTED IN READING MORE ABOUT ROME? CHECK OUT MY OTHER ARTICLES!